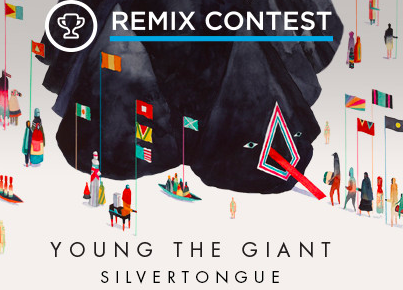 We’ve teamed up with one of our favorite rock bands – Young the Giant – to bring you our biggest and craziest remix contest ever with over $8,000 in professional audio plugins and some killer opportunities to connect with the band and get noticed by their label! The track you’ll be remixing is “Silvertongue” – an edgy, high energy track that blends funk, soul, rock and pop into a catchy modern anthem. There are plenty of high quality stems to play with, so get ready to make the best remix of your life! If Young the Giant and Fueled by Ramen like your remix you could win some killer prizes including: an absolutely INSANE bundle from Plugin Alliance – the 100% AAX DSP Bundle V1.3 – with 48 plugins worth over $8,000!! (some used by our Grammy-winning co-founder DJ Swivel on “Don’t Let Me Down” by the Chainsmokers), our classic iZotope plugins pack, and on top of that – a meet & greet with Young the Giant, and more! Get your remix in by Monday, April 24 but REMEMBER – submit early to get feedback directly from Young the Giant! You can make changes anytime, so resubmit as often as you want until the last minute!